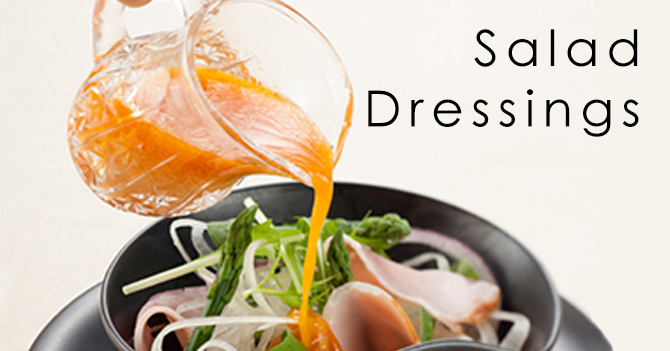 Created specifically for the food service industry our dressings have been inspired by the most popular flavours available today. Always made fresh, we use only the highest quality ingredients. Your customers will delight in the added flavour and pizzazz that our dressings bring to salads and fresh vegetable platters. The fact that there is no MSG added is an extra bonus that will also be greatly appreciated. And as a marinade or a dip, our sauces are the perfect compliment for many entrées from barbequed steak to seafood dishes. As individual ingredients, they help to create spectacular original recipes. Fazio Foods will exceed your highest expectations when it comes to both quality and taste.